We are delighted to announce that CPM, in partnership with GSK, has been shortlisted for the prestigious Checkout Awards 2016, in the category of “Best Sales Team / Field Sales Support". This award recognises suppliers that get out there and support retailers first-hand, developing strong, long-lasting relationships. The winners will be revealed on September 30th, in The Round Room, at the Mansion House, Dublin. Now in its seventh year, the awards recognise excellence in sales and marketing in the Irish grocery retail sector. 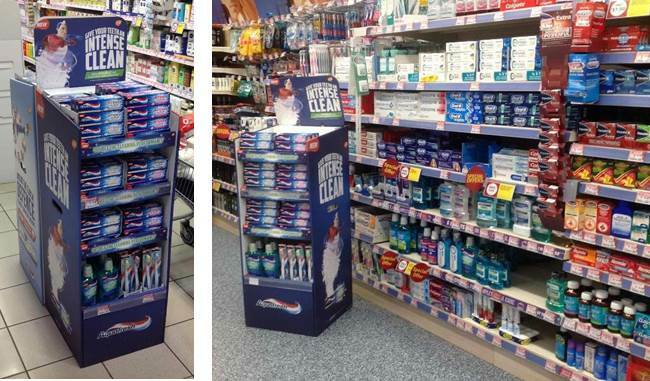 The CPM & GSK team was assembled in 2014 and one year after, were set the task to enhance the Oral care promotional visibility, to aid the promotional sell in and to drive sales on behalf of our client. All the tasks were met and exceed as this year the team outperformed their targets at a rate of 111% performance vs target, at SuperValu. According to his manager, Paul Hanrahan, their ability to build & utilise strong customer relationships is one of the secrets to their winning formula. Also, the communication between all team members and their willingness to share best practices sets them apart from other sales teams, allowing them to achieve incredible results. We are very proud of been shortlisted and to have the opportunity to work with such talented and committed professionals. We send to all the CPM- GSK team a huge congratulation for the great work they do on a daily basis and wish our team the very best of luck on September 30th. We’ll keep our fingers are firmly crossed! Congratulations to all the other nominees and may the best candidate win!